For high resolution photos of the winning dishes of Diners’ Choice Awards dish categories, please email rae@ChineseRestaurantAwards.com. (Vancouver, Canada—January 23, 2017) — The organizer of the 9th Annual Chinese Restaurant Awards is pleased to announce the winners of the 2017 Diners’ Choice Awards. In 22 categories, 38,214 votes were cast, breaking last year’s record with a 12% growth. Twenty-one winners were chosen by diners who make speaking up for their favourite dishes and restaurants on the Diners’ Choice Awards an annual tradition, indicating the results are a reflection of today’s dining trends. As the number of votes increases every year, the organizer of the Awards knows the importance of maintaining a fair and inclusive platform for the public, professional critics, and social-media influencers to voice their opinions. The six-week long voting period encouraged the public to explore recommendations on the nomination list. In 2017, the voting platform was extended to WeChat, a popular social-media app, in exclusive cooperation with Van-Food Delivery (Dawenfantuan), Vancouver’s top take-out food delivery service in Chinese. 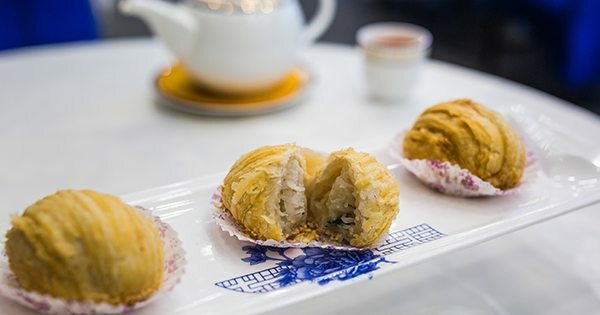 Together, the community of Chinese food lovers has crafted a new comprehensive diners’ guide that highlights the best regional Chinese and Taiwanese cuisine in Metro Vancouver. As diners anxiously wait for 2017’s most authoritative Chinese dining guide in Metro Vancouver, the Chinese Restaurant Awards have received recognition across the globe. In December 2016, the Washington Post published an article titled “Want Fantastic Chinese Food in North America? Head to Vancouver,” in which Lee Man, the Awards’ founding judge, introduces readers to an array of award-winning dishes. The informative article was published again in Hong Kong’s South China Morning Post. 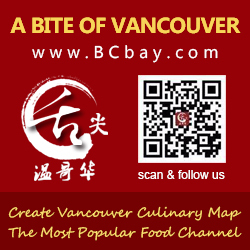 In early January 2017, the Travel Channel aired the Vancouver episode of Bizarre Food: Delicious Destinations, featuring Chinese Master Chef Sam Leung and the award-winning Dynasty Seafood Restaurant. In the five Best Iconic Dish category, Richmond’s Chef Tony Seafood Restaurant took home the title of Best Siu Mai. 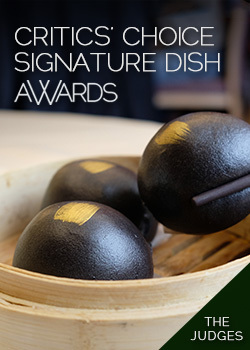 Their innovative approach to Siu Mai won them a Critics’ Choice Signature Dish Award in 2015. The pairing of earthy black truffle with fresh shrimp-pork paste has seduced the palates of both critics and the public. Yuan’s Shanghai Serendipity Cuisine won Best Shredded Turnip Pastry with its flaky and delicate creation. Best Sichuan Dan Dan Noodles is awarded to Long’s Noodle House on Main Street. The humble noodle house makes two types of Dan Dan Mein that pack a flavourful punch. Memory Corner, last year’s winner of Best Braised Pork Rice, makes the Best Taiwanese Popcorn Chicken, outshining its competition with another signature Taiwanese street eat. Last but not least, Best Durian Glutinous Rice Dumpling is awarded to industry veteran Kirin Restaurants. The growing number of new dining establishments in Metro Vancouver has encouraged the return of the Best New Restaurant category. This year’s winner, CoCo Fresh Tea and Juice, is known for its high-quality tea drinks. Originating in Taiwan, CoCo has caused quite a buzz on the Internet since its first branch opened in Metro Vancouver. Another notable mention from the list of winners is Chang’an. The Northern Chinese cuisine contender won both Best Fine Dining Restaurant and Best Northern Chinese Restaurant, putting it in the 2017 Awards’ hall of fame. The winners of the Diners’ Choice Awards will be invited to attend the 9th Annual Awards ceremony at River Rock Show Theatre on Tuesday, March 7, 2017. The results of the Critics’ Choice Signature Dish Awards and Social Media Choice Awards will be announced on the same day. The Awards’ result of 2017 is audited by Jacqueline Lai, CPA, the Awards’ dedicated auditor. The Chinese Restaurant Awards wishes to thank the following partners: Alberta Canola Producers Commission, River Rock Casino Resort, Heineken, Fraser Valley Specialty Poultry, Underwater Harvesters Association, Lee Kum Kee Canada, Ocean Wise, CBC Vancouver, A Bite of Vancouver and Dawenfantuan/Van-Food.